Check us out in Hanahou Magazine, the best magazine about everything Hawaii!! 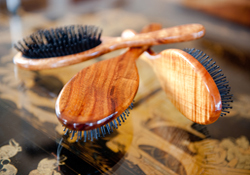 Windline Pacific Company is the umbrella entity for the wood creations that Dave Anderson and his 'ohana (extended family) have developed through their many collective years of woodworking. Dave apprenticed as a shipwright and over time has downsized his projects, while maintaining and improving the quality of his old world craftsmanship. 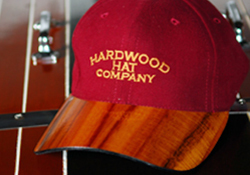 Our fine handmade wood products are represented by three separate company brands and range from laminated serving boards and lazy susans, to fine heirloom hairbrushes, as well as the amazing wood billed hats and visors that are guaranteed to start all kinds of great conversations. 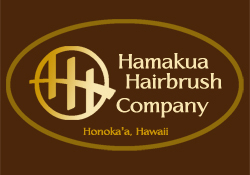 All the items are handcrafted with aloha on the windward coast of the Big Island and make wonderful gifts - even if you have to give them to yourself!